By Graeme Bond, Technical Director at FDM Digital. 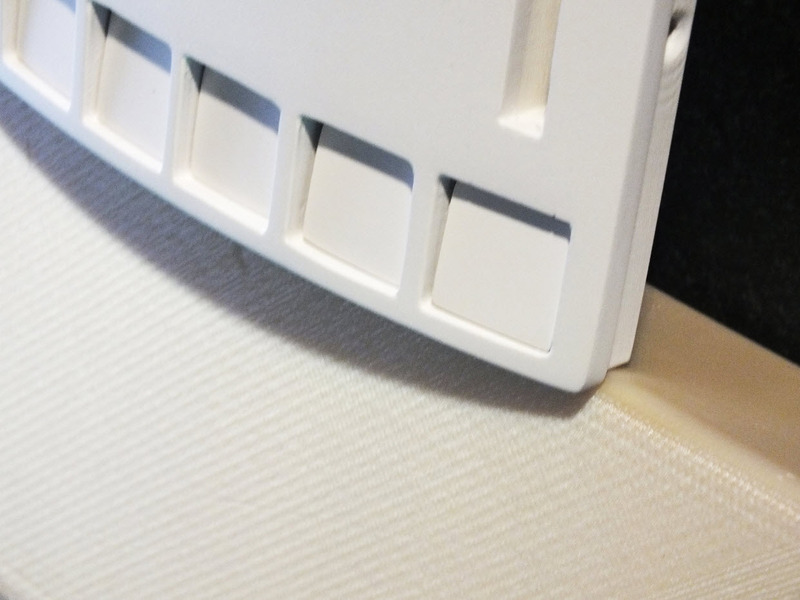 Additive layer manufacturing (ALM) or 3D printing as it’s also known, can be used to manufacture both engineered and cosmetic aircraft parts – from ducting, vents and electrical housing to trims, TV surrounds and even espresso machines! But although it’s on people’s radar, when it comes to manufacturing aircraft interior parts, ALM is still not very common. There are two reasons for this; firstly, not many people understand it and secondly, not many people have the know-how or technical capability to do it. Let’s address the first point by quickly looking at what ALM is. Put simply, it’s a process by which a 3D object is grown from literally nothing by continually building or fusing a material layer on layer, physically forming the part that we originally created digitally in a 3D CAD design package. So what are the benefits of ALM? Aircraft interior parts – be they engineered or cosmetic – can be complex in design. Using ALM gives designers the freedom to create intricate 3D complex assemblies with fewer parts that would simply not be possible to manufacture using traditional methodsdue to tooling design limitations. Plus, using ALM rather than injection mould tooling saves thousands of pounds. With a lead time of just one week from design to finished part. 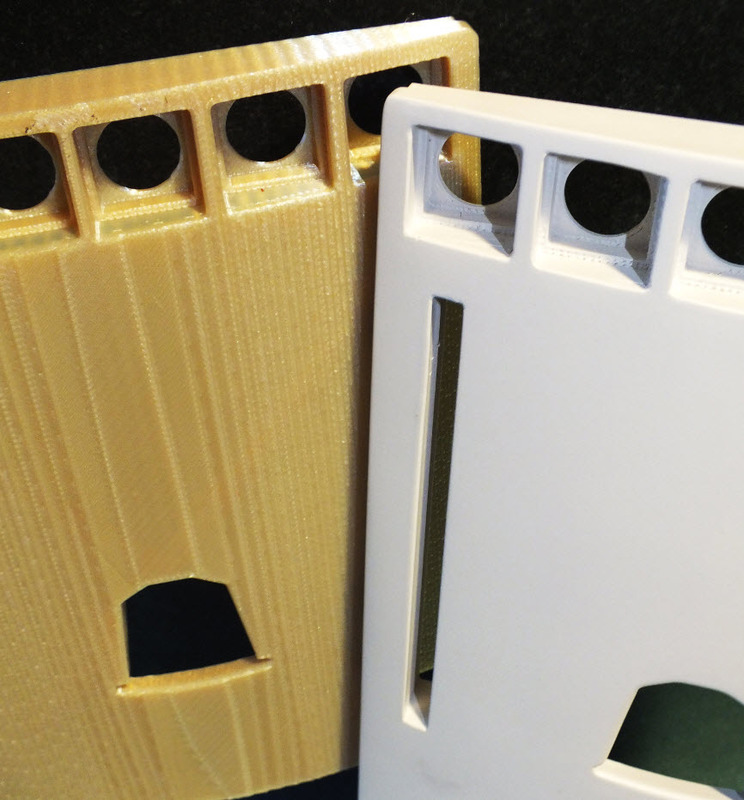 ALM can produce finished parts 80% quicker than traditional manufacturing techniques, typically reducing costs by 70%. This is particularly useful when it comes to maintenance, repair and overhaul (MRO) as a part can literally be printed on demand, thereby removing the need for companies to keep huge stock-piles of parts. Lastly, ALM can also produce low production volume parts that typically weigh considerably less than their traditionally produced counterparts. For aerospace this is big news as 1 kilo of weight saved equates to thousands of pounds of fuel saving per year. Now we come on to the second reason – why ALM is still not very common when it comes to aircraft interiors: lack of know-how or technical capability to embed the knowledge required with the associated systems inside the current aircraft supply chain, something FDM Digital Solutions are experts at. At FDM Digital, we’ve got 60 combined years’ experience in ALM, plus we work with leading aerospace manufacturers and the aerospace materials supply chain – so we know our stuff. I’m not one to boast, but we are the UK’s leading contract additive manufacturing provider with the largest commercially available 3D printing capacity in the UK combined with the largest build envelopes on the FDM process. We’ve got nine Stratasys machines and a cutting-edge HP Multi Jet Fusion machine – the only one in the UK commercially available specifically targeting the aerospace, automotive and F1 sectors. Ten times faster and cheaper to run than any other 3D printer, it’s an industry game changer. It can produce hundreds of parts in a set build time which gives it a mind blowing volumetric build envelope advantage over any other 3D printer on the market today. Plus, we are the only ALM company in the UK who can also finish aircraft interior parts to the relevant AIC paint codes and specifications. Our state of the art kit and engineering know-how is helping us to reduce our customers’ lead times and costs, increase speed to market as well as add high design value to their products. We’ve produced tens of thousands of flight ready components, manufactured to AS9100, using Sabic’s ULTEM 9085 FDM material which can withstand the needs of the aircraft market. From non-load bearing components, ducting parts and TV surrounds to trims and electrical housings – you name it, we’ve done it. 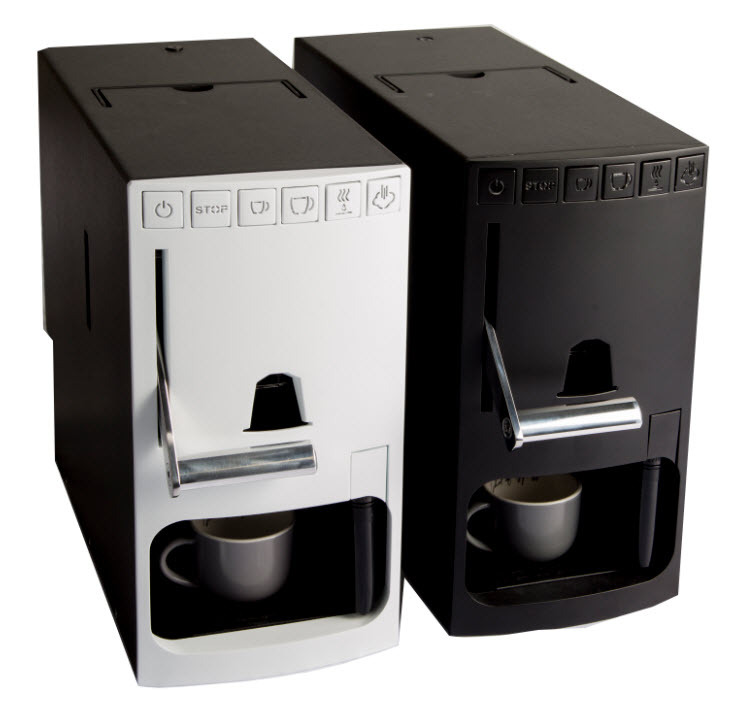 Our most recent venture is an espresso machine by Aerolux – a key manufacturer of quality galley equipment to the world’s major commercial airlines. Aerolux are launching their new espresso machine this April. Aerolux, who’ve been in the aircraft interiors business for over 25 years, approached us as their original design for their brand new espresso machine had a complicated aluminium frame. 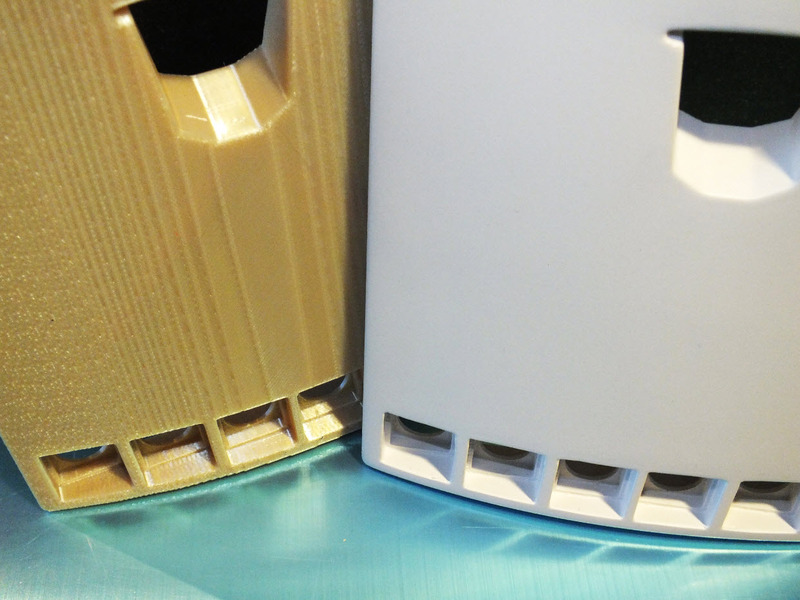 Because ALM lends itself to printing on demand and is ideal for printing complex parts, we were able to manufacture the machine and provide a painted finish far quicker and at a lower cost compared to the aluminium option. So, although still not very common in the world of aircraft interiors, additive layer manufacturing or 3D printing, can be used to manufacture both engineered and cosmetic parts for a variety of aircraft. The potential is huge – be it vents, TV surrounds and even espresso machines! Aircraft interior manufacturers just need to take a bit of time to understand it and find a company with the right technical capability and know-how to work with.